The top Democrat on the House Oversight and Government Reform Committee demanded information Tuesday about the decision by the Centers for Medicare and Medicaid Services to scrub information relating to the 2010 Affordable Care Act from its websites and suggested the action may have been illegal. Rep. Elijah Cummings, D-Md., penned a letter to Health and Human Services Secretary Alex Azar and CMS Administrator Seema Verma Tuesday asking for all information related to the decision to delete or relocate content on the HHS or CMS websites since President Trump’s inauguration, as well as the department’s policies for making changes to its public-facing website content. 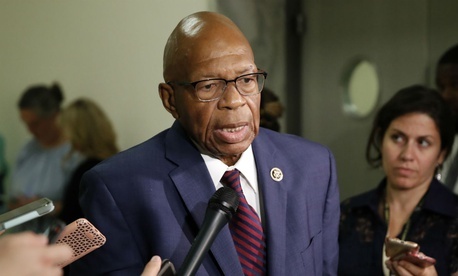 Cummings’s request comes after a report by the Sunlight Foundation’s Web Integrity Project that found that 14 pages of materials related to the 2010 Affordable Care Act had either been deleted or changed without notice. Of particular note were the removal of pages discussing issues like eligibility and coordination with states’s insurance exchanges. Although some of the information had been moved to a more general page, without the context of the Affordable Care Act, other elements were taken out entirely even though they were “still accurate and relevant,” according to the Sunlight Foundation. In a statement in response to Cummings’s earlier inquiries, a CMS spokesperson suggested it is no longer necessary to have Obamacare-specific Web pages on the Medicare and Medicaid websites.